Item # 290790 Stash Points: 2,199 (?) This is the number of points you get in The Zumiez Stash for purchasing this item. Stash points are redeemable for exclusive rewards only available to Zumiez Stash members. To redeem your points check out the rewards catalog on thestash.zumiez.com. Mark Gonzales and Thrasher Magazine teamed up to create the Gonz Old Timer Hat. 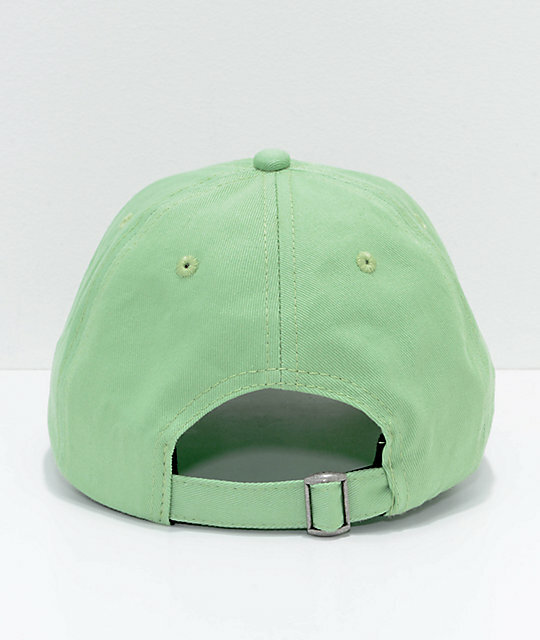 Featuring a mint green 6-panel configuration crafted from 100% cotton material. The front has a custom graphic including an embroidered Thrasher logo with a skater beneath on the front. 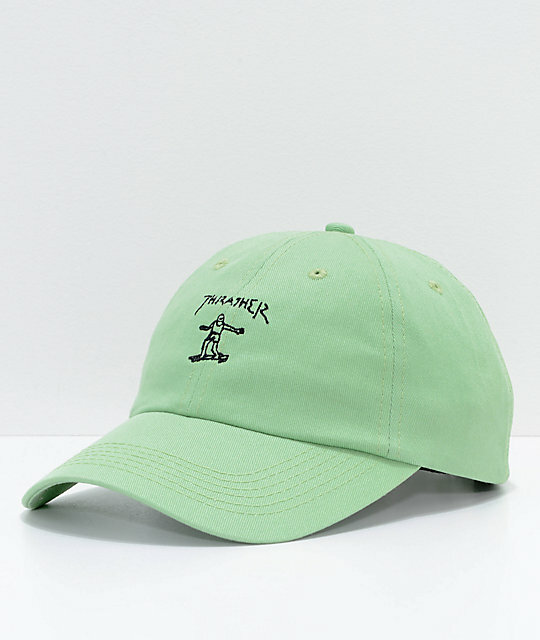 Gonz Mint Old Timer Strapback Hat from Thrasher. 6-panel light pastel green unstructured dad hat. Embroidered skater w/ Thrasher logo on front.